Liverpool will play Bayern Munich in the Champions League last 16 and supporters have been giving their thoughts on an exciting draw. The Reds learned their fate in Nyon on Monday, with Jurgen Klopp‘s former rivals Bayern standing between his team and a place in the quarter-finals. They will play the first leg at Anfield on February 19, with the second leg at the Allianz Arena on March 13. 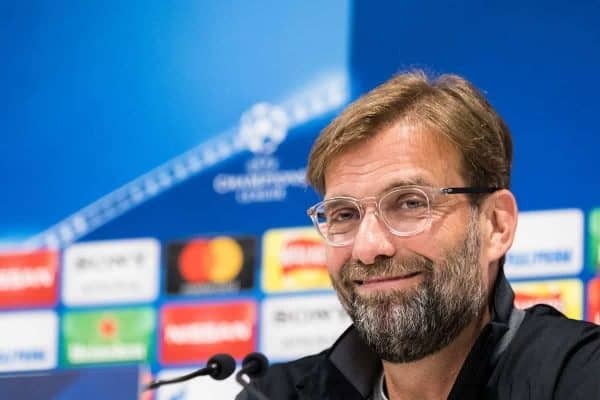 Spirits are high at Anfield at the moment, particularly after Sunday’s 3-1 win over Man United, and Liverpool will feel they can beat anyone on current form. Bayern have great pedigree in the European Cup, however, winning it five times, including victory over Klopp’s Borussia Dortmund team in the 2013 final at Wembley. Meanwhile, United will face Paris Saint-Germain, Man City have been pitted against Schalke and Tottenham have a tough battle with Dortmund on their hands. Here’s how fans reacted to the draw on social media and our forums. – sms1986 on the forums. – This is Anfield writer Joel Rabinowitz. Bayern Munich it is. Pretty happy with that, should be a great tie. Boateng & Hummels will struggle 1vs1 vs Mane & Salah. The biggest decider will be how we play in midfield both with and without the ball. The fitness/availablity of Robben & Ribery could be key. Both aging but both hugely influential. – Livvy on the forums. 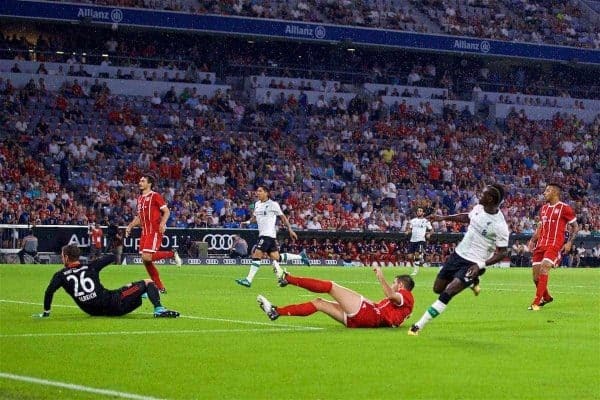 Liverpool – Bayern. That looks a horrible draw…for Bayern. Two months to it, still. Plenty can happen in between but struggle to see Liverpool not going through at present. Bayern next eh? The bigger they are… The harder they fall. They got a club nobody wanted in the draw! If you get a chance to go to the Allianz don't pass it by, pretty damn awesome in pre-season last year! Proper draw for #LFC. Bayern is a great club. Great history, tradition & beatable too. – Menghis Chivas on Facebook. I ? u my former coach ? – Brian Ngoni BaKeisha Kandamby on Facebook. Nice to have someone different again for a while. I still wanted Real Madrid. At least Man United fans will finally get to see Neymar at Old Trafford ?? – Show me the Mane on the forums.